Last week it was announced that Activision paid 5.9 billion for King, the developer behind Candy Crush Saga. So basically, one group of famously litigious jerks has bought another. To put that price tag in perspective: The rumor is that Star Wars: The Old Republic cost $200 million to produce, possibly making it the most expensive MMO ever produced at the time. For what Activision just paid for the Candy Crush team, Activision could have made The Old Republic twenty-nine and a half times. 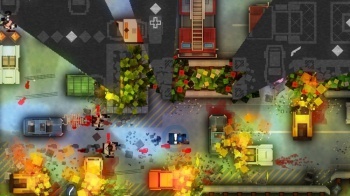 Was it worth paying twenty-nine and a half Old Republics for a developer with a single massive hit? No. The idea is ridiculous. Let's look at some of the reasons Activision might want this developer and go over why they don't make any sense. 1. King is profitable. Activision bought a profitable company. Simple. King.com is indeed profitable. They supposedly make a million dollars a day. That sounds like a lot. Heck, it is a lot. But even at that extreme rate of income, it would take over sixteen years for Activision to break even on their investment. And that's assuming Candy Crush will still be making that much money a day in 2031. Which it won't. 2. Activision doesn't just want the income from Candy Crush. They want Candy Crush, plus the next big hit, and the one after that, and so on. They want King's audience. Over the last few years, the three giants of mobile and casual gaming have been Farmville (Zynga) Angry Birds (Rovio) and Candy Crush (King). Notice anything about that lineup? They all come from different developers. This market is still being discovered, and at any time a massive shift might pull the masses to the Next Big Thing. People aren't going to play Candy Crush forever, and I expect that after three and a half years, everyone capable of enjoying Candy Crush is already doing so. The audience can only shrink from here. By videogame standards, it's actually pretty long in the tooth and ripe for some hot new thing to come along. Maybe the next sensation will be another physics game like Angry Birds. Or maybe a word game. Or a game built around rhythmic tapping. Or pattern matching. Or another skinner box like Farmville. We can't know for sure how Candy Crush will perform over the next few years, but based on past trends it's about time for it to go into decline. 3. Activision wants the talent that made the game good. For the record, Candy Crush was cloned from Candy Swipe, so it's not like King.com was overflowing with brilliant ideas. To King's credit, they do seem to have nailed that Popcap-esque tone that makes their products so visually and aurally pleasing. There are indeed some talented people at King.com. But six billion worth of talent? Really? Right now game colleges are pumping out waves of hungry, idealistic young go-getters with crushing student debt and a desire to make games for a living. It's cheap to hire these kids. And it's not like match-three games are expensive to produce. If we're being very generous, we might say they cost in the ballpark of a million dollars. For what Activision just paid for King, they could produce 590 of these games and give each of them a nine-million dollar advertising budget. Or if you're more a fan of "go big or go home", you could make 59 games and give each one of them a $100 million dollar "Call of Duty"-sized media blitz advertising campaign. Yes, there are talented people working at King. But it's not superhuman talent. You should be able to match that talent by posting some job openings, and without paying the annual GDP of the entire city-state of Monaco. 4. Activision wants the balancing secrets that make these games so profitable. Those techniques are actually well understood. Sure, there's some smart fine-tuning work in there that makes the monetization angle so alluring, but lots of people grasp it. 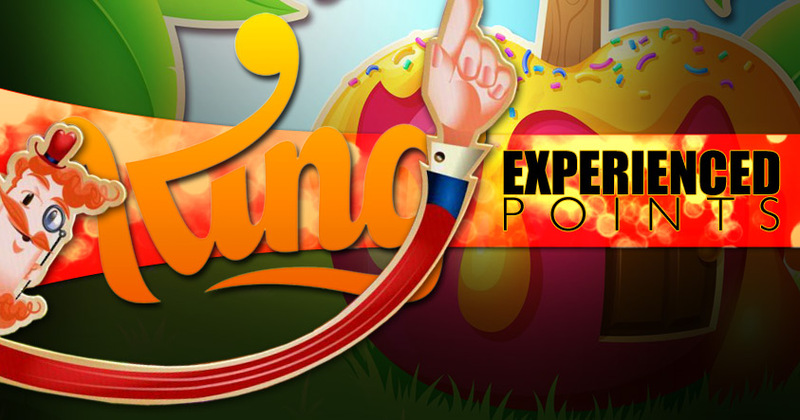 There are lots of games that are as tantalizing (or if you like, exploitative) as Candy Crush. Maybe the people at King have another mega-hit up their sleeve. But they've produced quite a few titles in the last three years and none of them hit as big as Candy Crush. There's no guarantee that the next hit will come from this team. It's equally possible that historical trends will continue and the next hit will come from some young upstart. Again, Activision could have held onto their money and simply launched a studio to explore this market. Somewhere in the thousands and thousands of Activision employees, they have people who know and understand the market Activision is trying to break into. 5. This is how Corporations work. They buy successful companies. It's a proven strategy! Well, it's a common strategy, but I don't know if I'd call it "proven". Maybe Activision has some secret insider insight that suggests King is going to continue to grow, but this move looks like a repeat of the mistakes of the past. In 2009, Electronic Arts wanted to jump on the casual gaming bandwagon, and so they paid around $300 million for Playfish games. How did that work out? 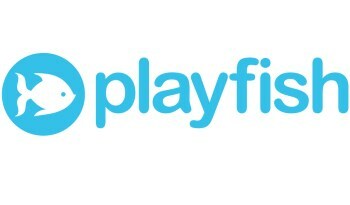 In 2013 they closed the doors at Playfish. Is EA a juggernaut in the casual market? They are not. They made no discernable impact and are not considered a major player. In retrospect, this deal doesn't look like a good use of $300 million. And now Activision is poised to do the same thing, only they're doing it with twenty times as much money. I bring this up because it makes a good compare and contrast with a company like Valve. Valve wanted a special controller to act as a bridge between PC and console gaming. They didn't run out and buy Mad Catz for hundreds of millions. They took the already-smart people working for them and put them to work on the problem. They wanted to get into the VR market, so they hired a couple of people and used their existing staff to make a VR headset. They didn't buy out a VR company for billions. They knew what they wanted, and so they made it. Maybe it'll work and maybe it won't, but either way they're not risking billions of dollars on something they don't understand. Valve is a company run by people who understand games. They know their market, they know their customers, and they know their employees. If they need talent, they know how to find it and they have a reputation that makes it easy to entice new people to join the team. By contrast, Activision is run by business majors, not by gamers and game developers, which means a lot of their decisions look they're groping around, trying to figure out what they want to do. I'm not saying that King will suddenly start losing money. But if I had six billion to gamble, I would not put those six billion on King. Certainly not when the alternatives are literally thousands of times cheaper. I am saying - and I know I say this often - that knowing the business you're in will make you better at that business. It's not that Activision is doomed to fail, it's that this is a wasteful, reactionary move. It could still work out for them, but it's a less optimal outcome than making the right move in the first place. Activision didn't anticipate the rise of mobile gaming, didn't adjust, and then didn't know how to enter that market on their own despite employing thousands of talented developers. As a result, they've spent ludicrous amounts of money on a developer that thus far is a one-hit wonder.